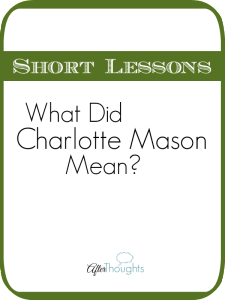 I‘ve spent a lot of time over the past six or eight weeks thinking about Charlotte Mason’s Mother’s Education Course, and also her teacher training. Around the time I started thinking about it, it was also being discussed on the AO Forum. A group of moms were asking for something like that for themselves. In many ways, we already have this sort of thing, we just don’t see it for what it is. What am I talking about? I’m talking about AO itself! I owe so much of my education to AO, and I don’t mean the upper years. I mean that I am a better person — a more educated person — even because of AO Year 1. In another sense, AO alone isn’t enough to train teachers. And really, if we’re honest, that is what we are when we declare ourselves headmistresses of our homeschools. Nancy Kelly was kind enough to post a photo from the Mother’s Education Course. In the photo we see that the course covers things like divinity (theology? ), psychology/health, psychology/moral development/educational philosophy, and nature lore and basic science. 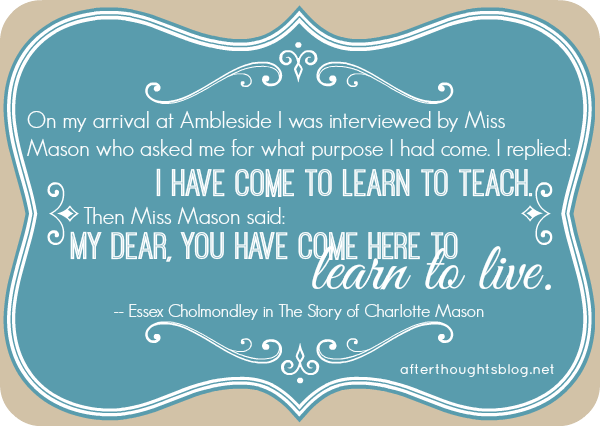 When mothers were teaching Miss Mason’s curriculum in their own homes, they took this course. Did you know that? That alone is fascinating and shows that she expected — and received — a lot from mothers. But before you start to feel like this is a lot of pressure on you or something, take a deep breath. This isn’t about putting more on your To Do list. I once heard a complaint about CM education. The person liked the idea, but didn’t like that there was so much study that seemed to be required. Why could we not just buy some books and read them? What was the big deal? 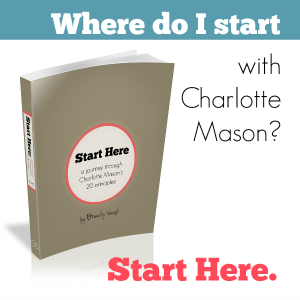 Well, in a sense, we can buy some books and read them with our students, but one of the things that sets Charlotte Mason apart is that she seems to think that the best teachers — her teachers — teach from overflow. Miss Mason’s teachers were students. By this I don’t mean that they were learning alongside the students in their classes, though I’m sure they were. What I mean is that Miss Mason was not much concerned with classroom management and technique. 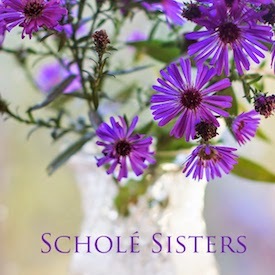 She was concerned that her teachers have the heart of the scholar, that they themselves came to embody the philosophy. When I say they were students, I mean this in the sense of identity, or as a description of the sort of persons they were. 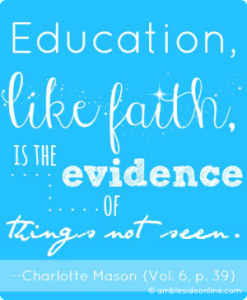 This means that the CM teacher — the CM homeschool teacher, too — was characterized by a love and increasing possession of knowledge, by wonder and delight, and therefore by humility. I have some ideas on how we can go about doing this that I’ve been pondering. I’ll be posting more as these ideas develop. After we’re done with the progym series (which will recommence next week), I’m going to start a new series on how to become a CM teacher. Until then, if studying two or three subjects sounds overwhelming, how about … one? Grab a book you already own, that you keep meaning to read, and read it. That is just one idea I have. Like I said, my ideas are still developing. In the meantime: you are not selfish if you spend some time in study. It is out of the overflow that we teach. 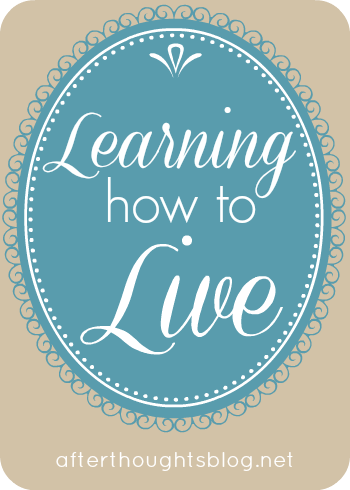 Click here to go to the Learning how to Live: Becoming a Charlotte Mason teacher in a Utilitarian World series. I heartily concur with this statement: It is out of the overflow that we teach! It’s so good to hear someone articulate what I’ve intuited for years, but never gave voice concerning. 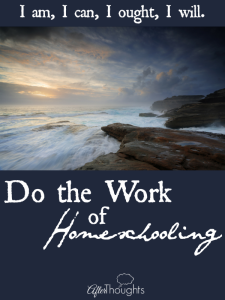 When my husband and I first explored the idea of homeschooling, I said to him, “what do I know about homeschooling little ones? 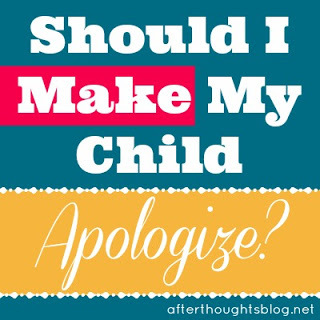 I haven’t studied child pedagogy! 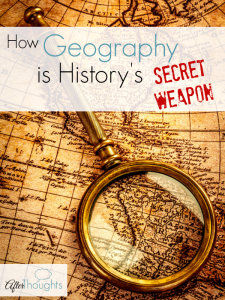 All my teaching experience is in the upper levels!” To which he responded, “Are you kidding? I am quite certain you have more to offer than a 22 year-old fresh out of college…..” And so the conversation ran. And I remembered way back to when I was a 22 year old fresh out of college, teaching, and how I improved year after year, not because I became some kind of “veteran teacher,” but rather, because I went back to school and started studying the things that interested me!!! Then I had “overflow.” And it was wonderful.